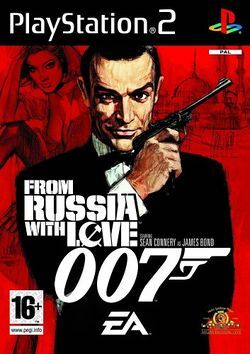 From Russia with Love is the classic James Bond movie starring Sean Connery. Despite the comparisons, the story has been reshaped to work with the game. Sean Connery lends his voice to the lead character with a few new faces lending their voice and their likeness. The most unique aspect of this game is the RPG in which you can upgrade your gear from gadgets to guns. This page was last edited on 2 February 2011, at 09:08. This page has been accessed 8,228 times.